WASHINGTON—As China has risen in military and economic power, Taiwan has been afflicted with more international isolation and pressures from the China regime, which regards Taiwan as a breakaway province. The best way to engage China while deterring aggression is a topic vitally important for Taiwan’s 23 million people. Two competing visions will be offered in Taiwan’s January 2012 election—the current president Ma Ying-Jeou from the Kuomintang (KMT) Party, and presidential candidate Tsai Ing-wen, who is chairperson of the DemocraticProgressive Party (DPP). Dr. Tsai, 56, laid out her priorities for Taiwan’s future in a speech delivered at the American Enterprise Institute, Sept. 13. She also spoke about the rebuilding of the DPP following the losses the party incurred in 2008. The DPP held the presidency for two terms, 2000–2008, and then lost power to the KMT, and had to go through a painful process of reflection and repair of the party. 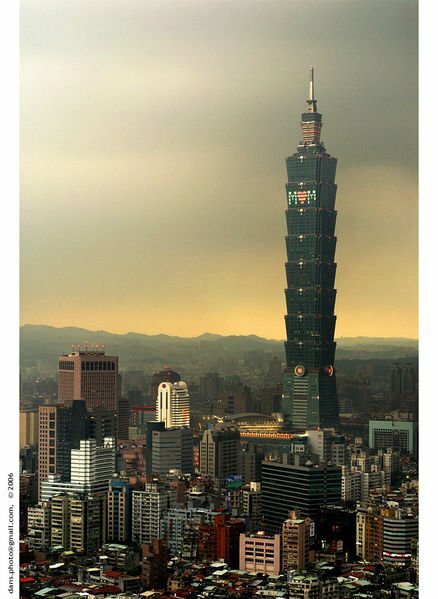 The United States is essential for Taiwan to hold its de facto independence. The Taiwan Relations Act (1979) recognized Taiwan’s special relationship with the United States and was enacted when the United States began diplomatic relations with communist China. It states Taiwan, while no longer diplomatically recognized by the United States, would be treated as a de facto foreign nation. The TRA states that any attempt by communist China to force its sovereignty over Taiwan would be looked upon unfavourably by the United States. “The United States is the only country in the world legally committed to supporting Taiwan in our defence and security,” said Tsai. The need for U.S. weapons hasn’t gone away, noted Tsai. “Despite the conciliatory attitude toward China, the recent developments of the PLA [People’s Liberation Army] in advanced weapons systems and naval capabilities have tipped the balance in China’s favour,” said Tsai. She asserted that Taiwan’s ability to deter and deflect the use of force “will no longer be credible,” unless Taiwan makes the necessary investment in an adequate defence and necessary defence equipment. Tsai said that this not just about Taiwan finally getting the F16s that it has been seeking. But it is also “crucial” that Taiwan make a commitment and effort to strengthen its military. The Taiwanese people need to make the determination they want to defend themselves, she said. A strong defense by Taiwan is in the United States’ interest too, she said. She reminded her audience that when the DPP was in power during the Sept. 11 attacks, Taiwan was one of the largest donors to Afghanistan, and also contributed to the Iraq war. Tsai said the DPP had reservations about the Economic Cooperative Framework Agreement (ECFA) worked out between the KMT and Beijing. She said the Taiwanese people were not prepared to handle the dramatic input on Taiwan’s economy. “Investment in China is not adequately protected.” She said it is not just Taiwanese investors, but international investors in general are not provided the kind of treatment one would expect investors would receive. She said reaching an international protection agreement in China is a high priority. Tsai said that for all practical purposes Taiwan is an independent country—a statement sure to annoy the communist China regime. She said that although “the people are frustrated by international discrimination,” it is apparent they are determined to maintain political separation. But Taiwan has to accept the reality of China’s growing economic significance and relevance in the world, she said. Tsai said that Beijing’s position is the “one China principle.” But she says that Beijing must understand the reality of the Taiwanese people, who through their history and democratization are opposed to China’s one party system. “We want to ensure that the right to determine Taiwan’s future rests in the hands of the people of Taiwan. And any change in the status quo must be agreed to the people of Taiwan through democratic means,” Tsai said.